Marcie has always lived her life right. A pillar of her community, a savvy businesswoman, a picture-perfect citizen despite a few bumps in the road, she never imagined what it would be like if it all came crashing down. She also never imagined that it would be one of the notorious bikers from around town that would set her back on her feet and put things to rights. Dragon has been The Sacred Hearts’ fearless leader since the club’s inception. He has loved and lost harder, than any member and has had no intentions of ever trying to find love again. Of course, never say never, because that is when things tend to prove you wrong. 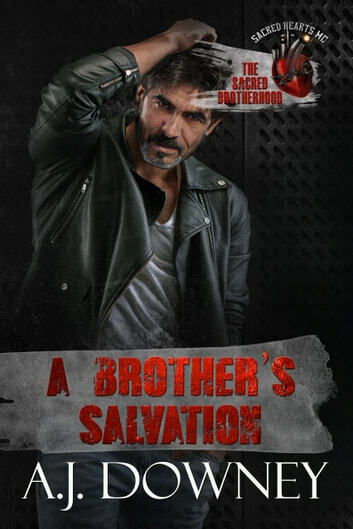 In this final installment of The Sacred Brotherhood series, two broken souls are mended proving salvation is there if you’re only willing to reach for it. It was amazing and heartbreaking and heart warming all at the same time. I can't believe this is the end of this series yet it brought it all together perfectly.